During your Volleyball1on1 Summer Camp week we offer a complimentary evening 2 1/2 hour coaching clinic for you and your staff. In addition, you and your staff will each receive a copy of our extensive 350-page Volleyball1on1 Coaches Manual. All content covered during your evening Coaches Clinic is expanded upon and covered in more detail in the Volleyball1on1 Coaching Manual. This means you and your staff post running a Volleyball1on1 Summer Camp week and post evening Coaches Clinic with us will have the opportunity to re-review as needed the extensive coaching information of our “superior coaching systems™” . Head High School Volleyball Coaches may choose to open-up their Volleyball1on1 Coaches Clinic during their Volleyball1on1 Summer Camp week by inviting outside local high school coaches and also middle school coaches to attend their coaches clinic. Our coaches clinic is an excellent way to educate your local middle schools, thereby improving the feeder programs and growing the game. Please note, Volleyball1on1 Coaching Manuals are reserved for only you and your staff hosting a Volleyball1on1 Summer Camp. Part 1 - Good To Great And "What Great Looks Like!" ®. Volleyball1on1 Superior Coaching Systems ® outline these success philosophies in a 6 step process for moving your program from “Good” into “Great” with our “What Great Looks Like!” ®: Coaching Standard, Playing Standard, and Winning Culture. Part 2 - Superior Coaching Systems ®. 80% of businesses fail in the first 5 years, 96% fail in the first 10 years, when they do not have a system for doing business. Volleyball is one of the few industries where a “franchise like system”, for doing business is not prevalent in the market. Volleyball1on1 has developed a proven franchise like system for you that guarantees your programs success when coaching youth volleyball players with our “Superior Coaching Systems!” ®. Part 3 - Self Evaluation, Yearly Planner, And Contingency Solutions. In this part of your coaches clinic you and your staff will fill-out a self-evaluation worksheet and series of questions to help develop you all develop a more personal approach to volleyball coaching. This information is also used to help develop your team culture and establish goals for your program. Coaches are next instructed on the importance of yearly planning. This includes updating the Volleyball1on1 Coaching Manual calendar for the season, reviewing what skills and topics will be taught when / why, and how best to tackle the grueling high school season schedule. Club season planning is also addressed where necessary. Coaches are also taught how to develop a contingency plan using the coaching manual in cases of emergency and when a parent, JV, or assistant coaches need to take over. We understand coaches have busy lives outside of volleyball and emergencies come up. We help plan for those emergencies using our Volleyball1on1 Superior Coaching Systems ®. Part 4 – Important Coaching Concepts. In this section of your coaches clinic we review many important coaching concepts. These coaching concepts build off of many ideas already taught in your Volleyball1on1 Summer Camp week and help you get more comfortable with the overall foundational coaching concepts we teach. We believe this section covers the most important concepts in coaching today which provide you and your staff a powerful coaching foundation from which to build success. For experienced coaches this will be eye-opening and for new coaches this will become your foundation in coaching to quickly launch you to great results. The 6 biggest mistakes we see in coaching. 3 Biggest shifts in volleyball coaching in the last 15 years and how it impacts your coaching style. Learning and how to create better learners. 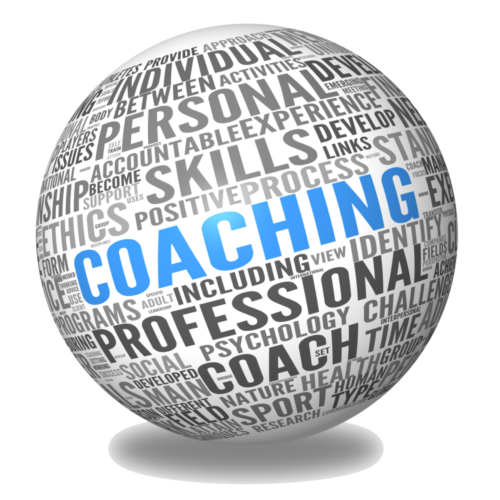 In practice coaching tips, verbal cues and more. Motor learning related to volleyball coaching. Effective techniques for team building. Using science to develop sound coaching principals. Its bigger than volleyball. How and what valuable life lessons to teach through the sport of volleyball. Whole person growth and how to peak players for playoffs. Helping prep young players for college volleyball. Part 5 – Video As a Technology Accelerator. Looking at volleyball, we agree. We believe video are still one of the best technology accelerators of momentum for volleyball coaching. During this part of your coaches clinic we review a chapter in our Volleyball1on1 Coaches Manual that discusses how video can most successfully be utilized to help your program. Part 6 – Volleyball Skills. During this section of your coaches clinic we review verbal cues and systems for teaching each volleyball skill as well as offense, defense, and transition. We believe having a common volleyball language and coaching system is a crucial part of our team culture and this also leads to greater “Transfer” and learning by players. Our coaching style is unique in that we teach each skill from the foundation of “Reading the Game” and the OODA Loop. The OODA Loop is a proven tested model for “Reading The Game”. More money has been spent on OODA Loop related research than any other “Reading the Game” models. When teaching volleyball skills we also incorporate vision principals to help players “Slow The Ball And Game Down” by getting in the zone and improving focus. This includes systems for teaching players how to deal with pressure and perform each skill successfully under pressure. We are pioneers in the volleyball high school summer camp industry as we are the only organization sharing this valuable knowledge. Part 7 – Volleyball1on1 OODA Loop Vision Coaching Blueprint. In the last 10 years the biggest change in coaching the sport of volleyball has been the concept of “Reading the Game.” Yet most coaches teach it wrong in our opinion and in so doing miss so much more where they can help their players! We have spent the last six years researching and testing the ideas presented in this clinic / camp / manual for indoor and beach across all skill levels and ages. These ideas work, and can be applied for coaching players of all ages to improve their ability to “read the game,” “slow down the ball,” “slow down the game,” “deal with pressure,” and more. Part 8 – Volleyball Vision Training. Volleyball1on1 is a pioneer in Volleyball Vision Training and has created the “Peak Performance OODA Loop Vision Training Poster” as a tool to help volleyball athletes and coaches improve the use of vision in the sport of volleyball. 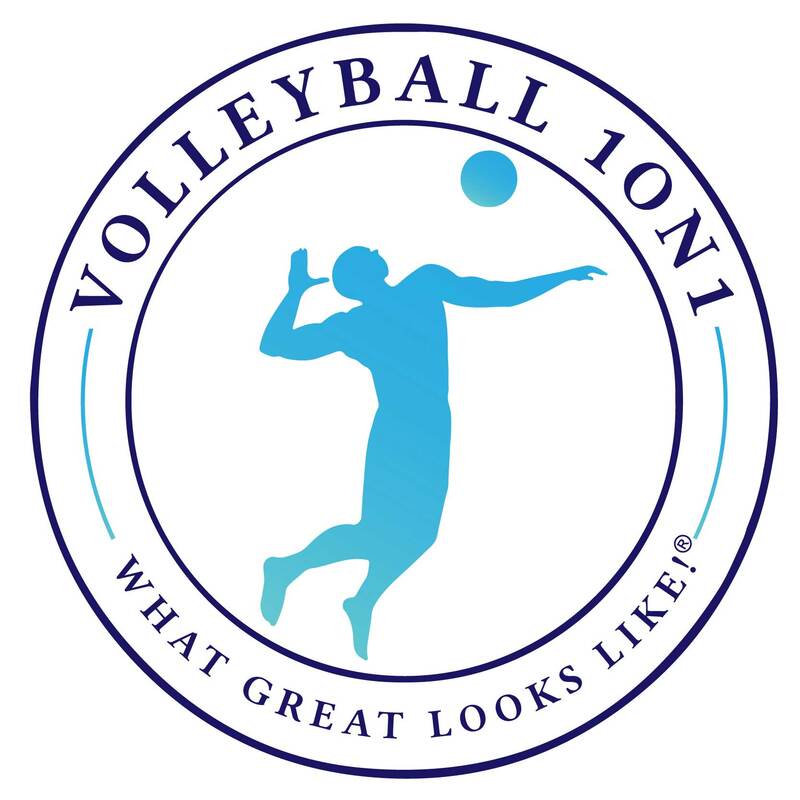 Through Volleyball Vision Training, players improve their ability to “Read The Game,” and learn how to “Slow Down The Ball,” “Slow Down The Game” and, “Deal With Pressure.” This information works for both indoor and beach volleyball across all skill levels and ages. Players who participate in the trainings will not only see the benefits on the court but will often see the benefits in the classroom with increased concentration times and better focus on the topic at hand. Part 9 and 10 – Volleyball1on1 Player Handouts and Coaching Resources. During this section of the coach’s clinic we review verbal cues and systems for teaching each volleyball skill as well as offense, defense and transition. We believe having a common volleyball language and coaching system is an important part of our team culture and this leads to greater “Transfer” and learning by players. When teaching volleyball skills we also incorporate vision principals to help players slowing the ball and game down by getting in the zone and improving focus. This includes systems for teaching players how to deal with pressure and perform each skill successfully under pressure. We are unique in the volleyball camp industry as we are the only organization sharing this valuable knowledge. Part 11 – Practice Planning. The ability to plan an effective practice is one of the most important skills for volleyball coaching. An effective practice maximizes repetition while placing the players in competitive often game like situations where coaches can offer advice and feedback. A great practice also builds your team, teaches players important life lessons while creating a space where players can have fun, and enjoy time with their friends. Work one or two specific skills per day (do not overload a practice with multiple skills). Create clear and specific objectives for each drill and present them to the team. Teach skills with gradual advancement (fundamentals to competition). Keep technique drills simple (competition can be complex to force players to think). Teaching, teaching, teaching (never stop giving feedback). Create a positive environment and success will follow. Craft drills that involve everyone at all times (avoid drills with long lines). Keep the practice fluid (one or two focus skills with slow build from basics to games). Try to incorporate 1 team building activity per practice. Try to incorporate 1 life lesson per practice. Add music. Part 12 – Team Building Exercises and Training. Team dynamics and chemistry are critical aspects of any successful team. Just like a coach works on skills, player communication, offensive strategy, and defensive strategy – the same work, effort, and time needs to be invested in team building. This portion of your evening Volleyball1on1 Coaches Clinic is focused on a proven system for TEAM BUILDING. Part 13 – Volleyball1on1 Indoor Written Practice Plans. Your Volleyball1on1 Coaches Manual includes 31 detailed Volleyball1on1 Practice Plans. We encourage coaches to teach the practices in this order as the coaching concepts build on each other. For example, serving is taught before passing so that when we work on passing players have real serves coming at them. Also, skills are taught in order of importance based upon science. During this section of the clinic we review the format, sequence, and practice outlines. Part 14 – Volleyball Drills. This section of your Volleyball1on1 Coaches Clinic includes a selection of some of our favorite drills. We encourage coaches to find additional drills that meet their needs and coaching styles. Breakout Sessions: These are usually small group or individual sessions with players that focuses on very specific needs within a particular skill. Setter Skill Building Warm-Up: At the youth level and high school level we feel your setter is the most important position. These drills help them get better individually and as a team. Tutor Drills: Similar to breakout sessions these drills focus on “Tutoring” the players on specific skills with copious feedback. In practice the name alone can really help coaches and players focus on the goal, tutoring. Mini-Games: Refers to in-practice competition drills / games where players compete against each other on a full or mini-court over the net to a set score. In our experience mini-games are one of, if not the most effective ways to teach volleyball to youth players with very high transfer and should be present in almost every practice. Serving and Passing: Serving and passing are so important to winning the game of volleyball that we dedicate a section of our drills to it. By giving serving and passing drills its own section it forces players and coaches to think about how we build serving and passing into every practice. 6 on 6 Wash Games / Drills: 6 on 6 Wash games / drills were the brain child of Bill Neville, then USA Men’s assistant coach for the 84 Olympic team. Bill’s goal was to design a scrimmage-like game that increased the number of game like reps in a competitive scoring environment. The wash concept utilizes a goal-oriented scoring system in which the goal is a consecutive number of successful executions. During the camp and coaches clinic we will equip coaches with some of our favorite drills in each category! Note each drill we share also has videos on Volleyball1on1.com for easy review post camp week. Part 15 – Beach Volleyball Introduction / Benefits & Part 16 - Beach Volleyball Coaching. Beach volleyball is the fastest growing sport in NCAA history. Players who play and practice beach volleyball tend to be great indoor players. As a bonus resource, Volleyball1on1 Coaching Manuals include an entire chapter on how to coach beach volleyball. This chapter is a great compliment for high schools and clubs looking to successfully jump start a beach volleyball program. As a coach we all know lessons are best learned in the evaluation of on-court match performance. Great coaches know how to ask questions that engage their players to think and consider their performance relative to the program’s goals and team culture. This section reviews a series of questions coaches can ask players to reinforce the “What Great Looks Like!” ® – Volleyball1on1 Winning Team Culture and Playing Standard. Part 18 – Keep Playing Volleyball ®. Indoor volleyball is the most popular girl’s sport in high school in the United States with over 450,000 high school participants per year. Youth club volleyball has also expanded to unprecedented levels with almost 250,000 paying participants. Sadly, many of these young players do not continue to play and enjoy volleyball after high school or even after playing high level college volleyball. Volleyball1on1 is dedicated to changing this through our initiative, “Keep Playing Volleyball!” ™. Evening Volleyball1on1 Coaches Clinic Wrap-Up: Q&A. Our goal is to answer all the questions that you and your staff may have. We find this portion of our Volleyball1on1 Coaches Clinic very helpful and sets a tone for how your and your staff work together even more successfully moving forward. 2019 Volleyball1on1 Summer Camp - Go Here Now!